Since the day jailbreaking has been legalized in US, things haven’t really changed much. Legalization did provide the jailbreakers and those with jaibroken phones a reason to exuberate but that’s pretty much the only thing they have gotten. Apple, however, continued to restrict the phones from doing all the wonderful things that jailbroken phones can do. If jailbreaking hadn’t provided users with a better experience, they wouldn’t do it, would they? On the other hand, Apple insists that jailbreaking can severely degrade the experience. For personal interests, corporates continue to oppose jailbreaking with one justification or another. Sony’s continued opposition and efforts to sue Geohot is one of the examples. One debate here is that if Apple hasn’t restricted OS X users from enjoying full control over their computers, then why restrict iDevices? Smartphones and tablets are powerful devices and they should be restriction-less. That will not only provide better user-experience but will also allow major corporations to be able to develop without constraints. Based on the stats provided by Saurik, estimates suggest that there are about 10 to 15 million users with jailbroken phones. This is a huge market and occupies around 9 percent of the total iDevice users. Huge market represents huge potential which most of the corporates aren’t looking at. The trend seems to change though since there are a few popular brands who have chosen Cydia to support their brands. 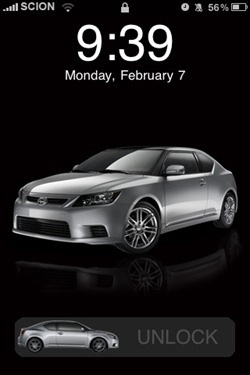 Recently, Toyota has submitted a custom-made theme of one of their brands "Scion" to Cydia. Not just that, they are also running an ad campaign within Cydia for the same brand on ModMyi, which happens to be one of the most popular repositories in Cydia. This is one of the first steps by a major brand and could be a turning point for jailbreak community. Adobe has been trying for ages to get the Flash on the iDevices but has been left out intentionally. Furthermore, Flash has also been excluded from latest MacBook Airs. Corporations ignore the huge potential market because of Apple’s stance against the jailbreaking and jailbreak community. They mention again and again how jailbreaking "may" void the warranty, not that it does. Apple knows they are more likely to lose in court if they don’t provide warranty for a product that wasn’t actually damaged by jailbreaking the device. The earlier this changes, the better it is for everyone from consumers to corporations. 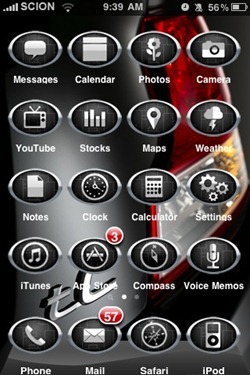 Check out more iOS themes on our iPhone Themes Gallery.